Home / News and Archive / Budget 2017: Now Is The Time For Tax Reform. Budget 2017: Now Is The Time For Tax Reform. The proposals in the Programme for a New Partnership Government (PFG) envisage devoting €2.5 billion in money terms to reducing taxes over the next 5 years. Mere indexation of the income tax system would cost about €4 billion over the same period1 . It is clear therefore that the level of taxation will increase over the period. This is not surprising given the costs of providing public services to an ageing population; (the cost of the state pension will increase by €1 billion over the next 5 years) and also funding the commitments for improvement in public services in the PFG. The costs of funding the nominal reductions in direct taxes( including Universal Social Charge) are to be covered by not indexing tax credits and bands (the inflation tax) as well as withdrawing the tax credits for those on higher incomes. Both of these measures are very poor tax policy. First, the inflation tax is a bad tax. It is arbitrary and hits not those on higher incomes most but rather those at the points of the income distribution where tax rates are increasing most rapidly; that is, those who are brought into the tax net or the higher rate of tax by inflation. 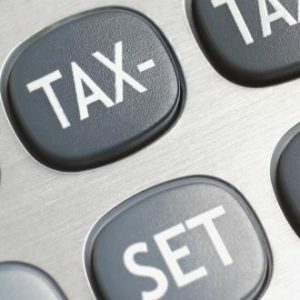 The second proposal (that of withdrawing tax credits from those on higher incomes from 2018) would result in an increase in the effective marginal tax rate of 8.25 per cent in certain income ranges. Effectively this would introduce a third rate of income tax by stealth. The rate would fall once a certain income level is exceeded. The Mirrlees Review2 examined this feature of the UK system and recommended an end to “pointless complexities” by ending “the opaque practice of tapering personal allowances” by moving “to a transparent, coherent rate schedule”. An increase in the higher rate of tax on incomes over a certain threshold would at least have the merit of being more rational and transparent. To do anything meaningful to deal with this issue will take more resources than will be available unless there are countervailing increases in other taxes. In other words, we need tax reform rather than mere tax reduction. The cost of widening the income tax standard rate band is substantial. An increase in the band of €500 (1.5 %) for single persons (€1000 for married) would cost €109 million in a full year. The next potential area is to increase excises on alcohol and tobacco. These are justified on health grounds. A constraint here is the level of prices in Northern Ireland. There is no point in providing incentives for crossborder shopping. The scope is limited but an increase of 20 cent in the price of cigarettes to yield €28 million is feasible. The price differential on diesel with Northern Ireland is such that an increase in the tax on diesel of 15 c per litre could be accommodated. This would raise substantial revenue of the order of € 350 million. It would also have the merit of helping to promote energy efficiency. Both the IMF and the EU have drawn attention to the inefficiency of reduced rates of VAT in the Irish system. While the introduction of a single rate of VAT on all items as in Denmark may not be feasible politically, there is scope for some rebalancing of rates to raise revenue. Particular attention should be focussed on the 9 per cent rate on hospitality services which was introduced on a temporary basis in 2011. The 9% rate applies mainly to restaurant and catering services, hotel and holiday accommodation and various entertainment services such as admissions to cinemas, theatres, museums, fairgrounds, amusement parks and sporting facilities. In addition, hairdressing and printed matter such as brochures, maps, programmes and newspapers are also charged at 9 %. When introduced this measure was estimated to cost €350 million in a full year. The abolition of this concession would now raise over €600 million. The number of overseas visitors to Ireland has grown by almost 50 % since 2010. This raises the question of whether or not a temporary tax incentive to stimulate recovery in the tourism sector is still justified. The arguments in favour of retaining the incentive include that the recovery in tourism has not benefitted all areas of the country and that the weakening of sterling following the UK referendum puts the recovery at risk. Visitors from Great Britain account for 40 % of overseas visits. Given the substantial cost involved, serious consideration should be given to ending the incentive or at a minimum reducing its scope. 2 Tax by Design, The Mirrlees Review Conclusions and Recommendations for Reform, Institute for Fiscal Studies.